On June 30, 2018, the ERS celebrated its annual summer festival under the plane tree. In beautiful weather we had a lot of fun with delicious food and drinks, activity spots and a big raffle. 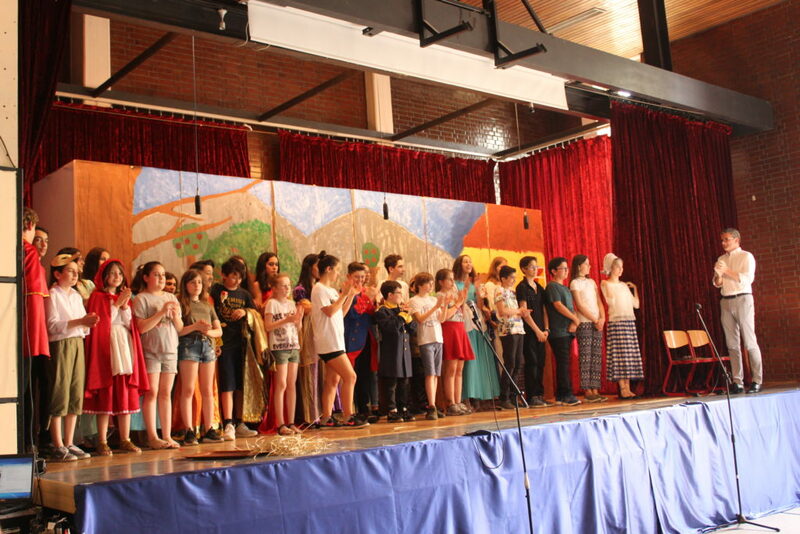 But firstly the classes 5-7 delighted us with the play “Es war einmal ein Märchen…” in our auditorium. It was about a colorful mixture of well-known fairy tales, reinterpreted and linked together to form a conclusive story. Both the lovingly designed backdrops as well as the acting and musical masterly performance of our children kept us in our seats although from the outside already the smell of delicious Köfte pulled in. At the end our kids received their well-deserved standing ovations. Thanks from the entire school community to all participating students and teachers for a very successful and entertaining start to the summer party. The summer party itself was again well received, with about 300 visitors taking the opportunity to visit the booths of our sponsors, had fun at the stations, or just relax in the shade of our wonderful schoolyard to chat with each other. Even the farewell of our previous school management, Mr. Claß and Mrs. Emge, could not cloud the mood, although of course we miss them both. The school community would like to thank all organizers of the school festival, in particular Mrs. Esra Adanir, who has made a special effort to attract sponsors, as well as all those, who have contributed to the success with a donation of money. Our special thanks goes to our numerous sponsors. Not only did they make for a particularly exciting splash of color on our feast with their booths, they also made many visitors happy with a multitude of prizes donated. Where else is there a raffle, where there is not a single rivet among the lots? We are looking forward to the next summer party, which is planned again for 2019, and hope once again for great support and numerous guests.